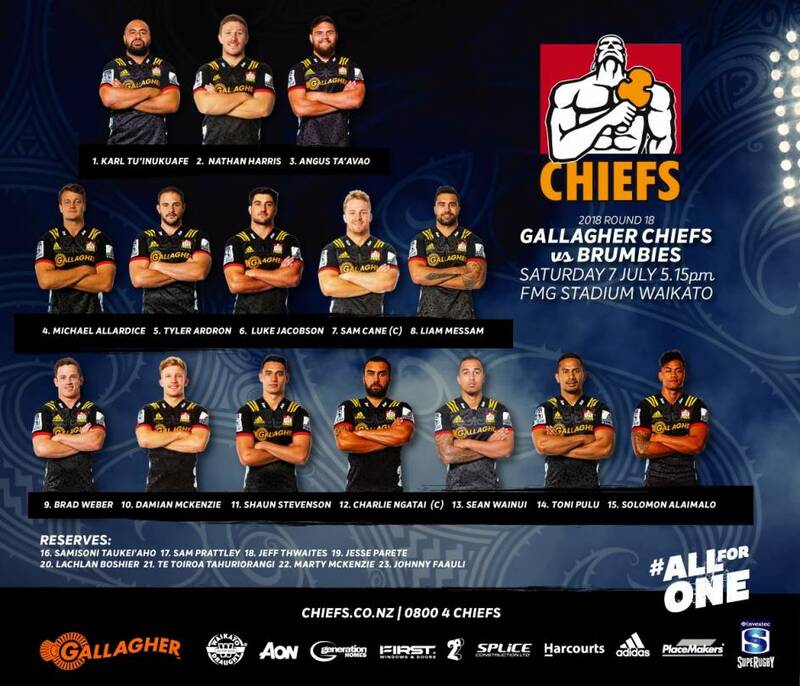 The Gallagher Chiefs await a huge business end of the season clash against the Brumbies this Saturday at FMG Stadium Waikato. The game is highly significant, with the Gallagher Chiefs vying for a spot in the Investec Super Rugby playoffs. It is their first game back at home after the International June break and they will be looking to carry on the tremendous form that saw them run rampant in Suva against the Highlanders last weekend, winning 45-22. Gallagher Chiefs head coach Colin Cooper hopes his side can bring last weekend’s confidence into this game and looks forward to the fantastic support from our home fans. “We are hoping to build the confidence and excitement from the Highlanders game and take that into the Brumbies game this weekend. The game kicks off at the earlier time of 5:15pm at FMG Stadium Waikato with a kids focused theme for the start of the school holidays. All kids tickets will receive a free JNR Chiefs 1-day pack, including a hot chip voucher, and there’ll be so much going on around the ground for the whole family to enjoy.